Colorado’s U.S. senators hailed the federal record of decision for the Arkansas Valley Conduit this week, calling it a major milestone to bringing clean drinking water to communities in Southern Colorado. 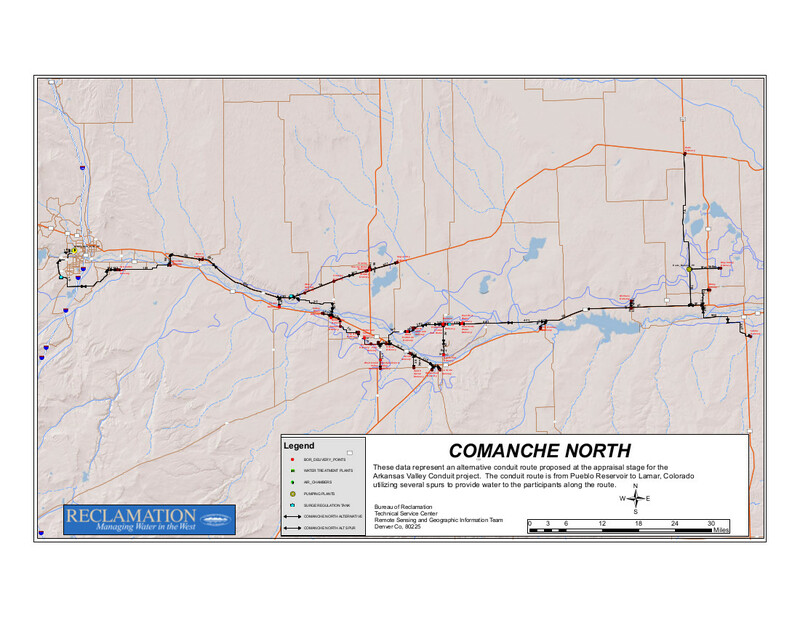 The record of decision affirms the choice of the North Comanche route for the pipeline, as well as setting up a master contract for storage of nearly 30,000 acre-feet of water in Lake Pueblo. It also sets the path for a cross-connection at Pueblo Dam that eventually will link the north and south outlets. Construction of the conduit, which could cost up to $400 million, still requires funding from Congress. When completed, it will provide water to 50,000 people in 40 communities east of Pueblo. Bennet and Udall have led efforts to secure resources and move forward with the construction of the Conduit. In addition to advocating for quick approval of the EIS, the senators have written to the Department of Interior to provide adequate resources for construction of the Conduit in future federal budgets. The Arkansas Valley Conduit is the final component of the Fryingpan-Arkansas Project. Once constructed, the Conduit will deliver clean drinking water to families, producers and municipalities throughout Southeastern Colorado. Bennet and Udall worked together to enact legislation in 2009 authorizing the construction of the Conduit, and have pushed ever since for funding to keep the project on schedule. The legislation also allows revenues from federal contracts to be applied to the cost of building the Conduit.